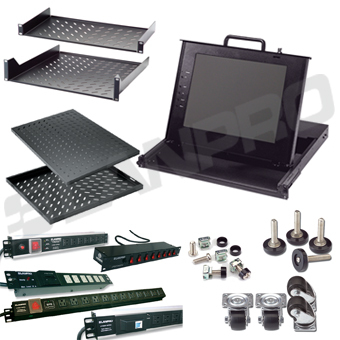 LanPro 7000 Series offers an excellent combination of quality and cost effectiveness. 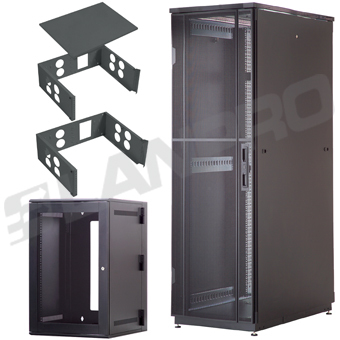 Features such as enhanced thermal management, system expandability, multi-system compatibility, structural integrity, good-looking finishes, security and compliance to internationally recognized standards are joined together in a rack series which provides exceptional value for your investment. A well thought-out design achieved on a tight budget, successfully overseen by our engineers from conception to completion, offers to LanPro customers a good product at a very low cost. 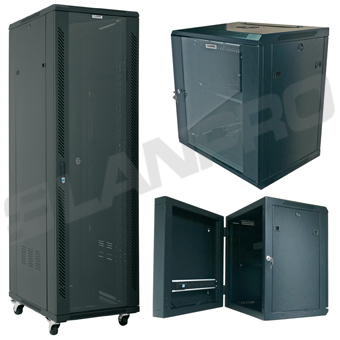 LanPro 8000 Series has been designed as a top quality network and cabling equipment. The characteristics of a wide rack and cable management features enable our customers the configuration of a large variety of equipment, including routers, switches, bridges and other equipment able to be mounted on rack or shelves. Top of the line design & quality materials. We have been producing top quality racks and cabinet enclosures to the telecommunications, information technology, security and broadcast industry for over 15 years. Today's IT equipment and structured cabling demands are greater than ever and customer's facilities require flexible solutions for cooling, power distribution, grounding, environmental monitoring and cable management. We also offer dedicated server cabinets, custom made network cabinets, seismic cabinets, colocation cabinets and broadcast units for mission critical applications.